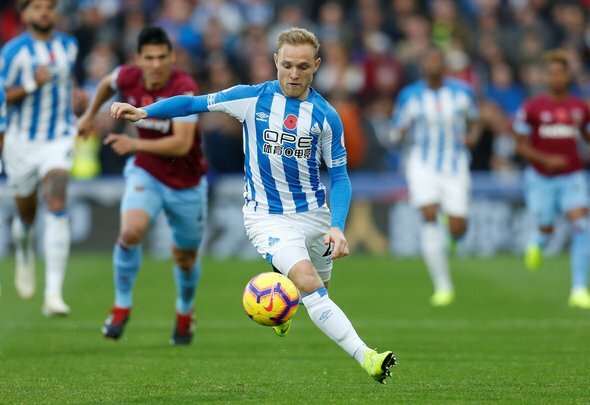 Wolves are in the hunt to sign Huddersfield attacker Alex Pritchard, according to the Mirror. The newspaper claimed via their live transfer blog on Thursday [02:18pm] that Nuno Espirito Santo wants to add creativity to his side in the January transfer window and the West Midlands club has revived it’s interest in the 25-year-old Terriers star. It is understood that Huddersfield signed Pritchard from Norwich for £11million at the start of this year, but it looks as though he could be on the move for a second January in a row if Wolves make an approach to sign him. Since joining the Yorkshire club, the former Spurs attacking midfielder, who has also played for Wolves’ bitter rivals West Brom in the past, has scored just two goals and supplied just two assists in 27 appearances across all competitions. They are not great stats but he is clearly someone who has the ability to step it up a few gears if he is surrounded by better players. With Raul Jimenez in front of him and Ruben Neves behind him, Pritchard could be a very good player for Wolves. Huddersfield will know that selling Pritchard in January will weaken their squad and therefore weaken their chances of avoiding relegation this season. That means that Wolves will have to pay a lot of money to land the 25-year-old, who according to statistics website Spotrac is earning a huge £110,500-a-week at the John Smith’s Stadium. If the club was going to spend big, you would think that it would be on one of Jorge Mendes’ clients or someone from a club associated to the super-agent, not a player like Pritchard.